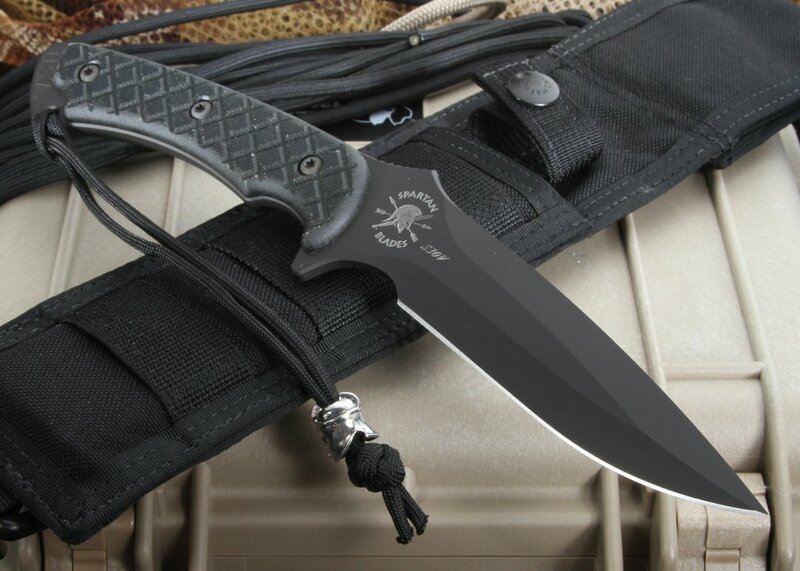 The Spartan Ares fixed blade knife is a tactical knife that embodies strength, precision, and cutting power. 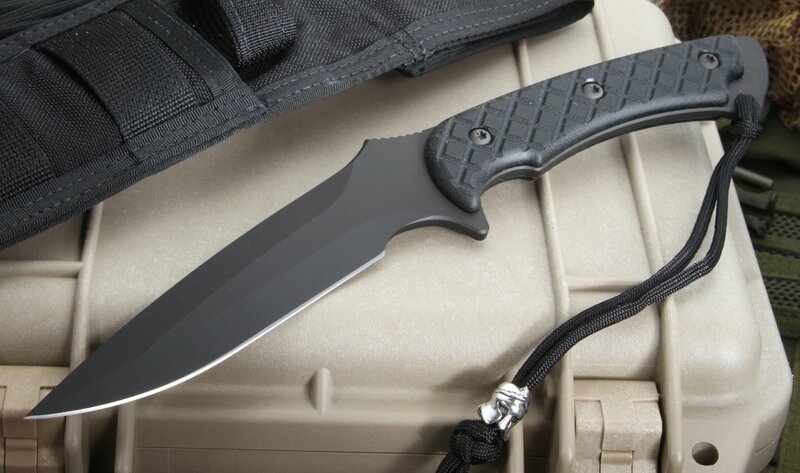 Designed more like a belt-knife with a long, false top edge, the Ares is ready to work like a fighting knife with its sleek-shaped 5.375" blade and overall length of 10.5". Crafted from stainless CPM S35VN steel and protected with a SpartaCoat DLC (flat black) finish and a Kydex lined nylon sheath, this knife can endure the elements as well as any punishment you are willing to dish out. The blade allows for added power through its slightly recurve blade design, which allows for deeper, more powerful cutting. The machined G-10 handle produces a positive grip. 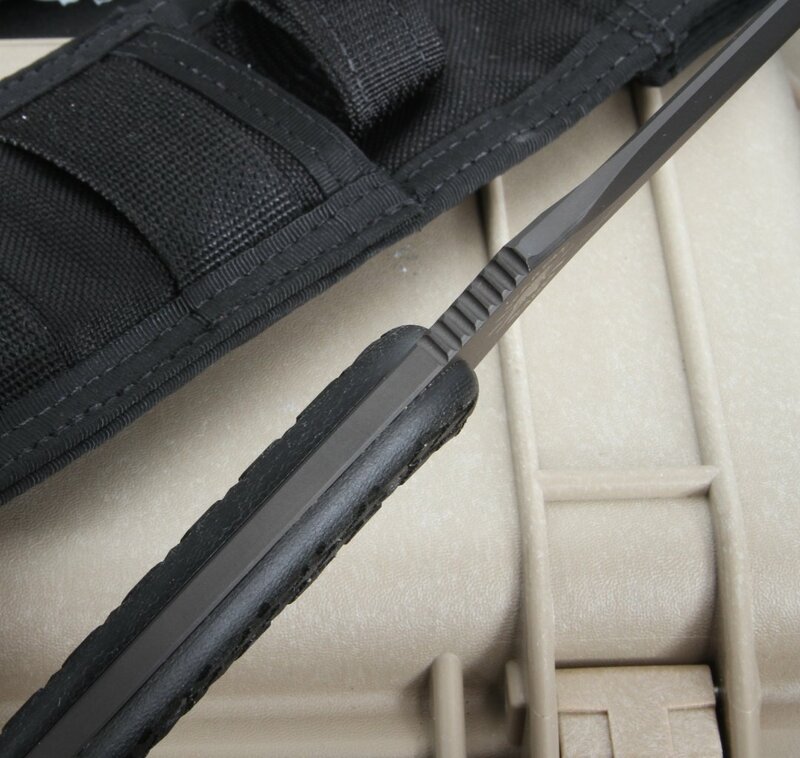 The black nylon molle sheath keeps your knife where you need it, and ready to use, whether it is in the field, hunting, camping, or for tactical use. The lifetime warranty ensures the quality of these blades. It's a go-to knife you can always trust. Proudly made in the USA!